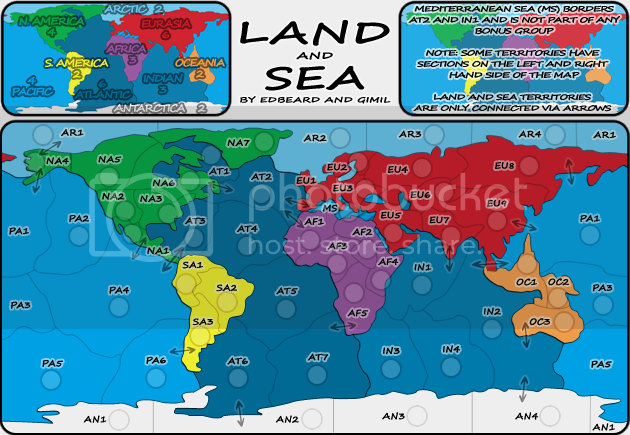 This needs to be changed to "Region"
Read the key — "Mediterranean Sea (MS) borders AT2 and IN1 …"
thanks for making the EU3 switch - coordinates will have to be updated as well. Otherwise XML checks out. thought you were talking about the xml on the region/territory thing and I was perplexed as to why gimil was "on it"
again, I need some kind soul to host it. thanks! So the xml stamp now gets issued without the two images of the "88 centered" armies for both maps? Last time i looked "88 centering" was still the standard for centering, and so far i haven't seen evidence of that. cairnswk wrote: So the xml stamp now gets issued without the two images of the "88 centered" armies for both maps? So far as I remember the forza stamp was for everything but coordinates? Those are checked by the community, not forza. Oh, really.....then i hope you'll remember to do that with other people's maps also. I don't stamp XML so I could be wrong but that was the impression I put myself under. Forza stamp is for what forza checks. coordinate centering is a nit pick left to the community. 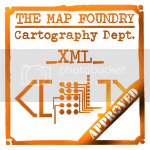 Well it seems unreasonable to me that the xml stamp is issued when centering is part of the process of getting the coordinates right in the xml, regardless of whether it is a community judgement or a Forza check. I think it would be good going forward if this process was brought into line for the xml stamp. just because they're not posted here doesn't mean he didn't look at them whilst checking the connections. I think that's a better way of doing it anyway. edbeard wrote: just because they're not posted here doesn't mean he didn't look at them whilst checking the connections. I think that's a better way of doing it anyway. No edbeard. that appears to be your way of doing it. I have now made 22 maps, and the process that was instilled in me by Andy is that you put your maps up showing the 88 & 888 centering done in these last throws of the thread along with the links to the large and small files and xml file (all together) if you want it stamped and quenched. if you've done that on previous pages, then it would be up to you to move advance it forward for viewing by the community and whoever is stamping/quenching. This method has worked very well for many maps over the past two years that i have been here. No edbeard. that appears to be your way of doing it. This sentence hardly makes sense in response to what I said. You've only been here several weeks longer than I have. Yes you've done 22 maps but I've commented on/followed closely on more maps than you have so we'll call it even. Just because it has been done in a certain way doesn't mean it's the best way (having to post text links for maps because andy finds them easier to copy (hello! right click)). Previously, the only people who'd open up the mapmaker tool would be people checking XML for errors and people getting images for centering etc. Now, since the mapmaker tool is more advanced and that is used to check connections/proof the XML, it makes sense for them to check 888 and 88 at the same time. Also, no one has answered my question as to why an XML has to be hosted to use the new tool / centering. Previously, you could use the browse feature. Maybe you still can and I haven't figured out how to do it properly but without knowing the reasoning as to why it's this way now, it seems silly. Forza_AZ doesn't check the coordinates, he checks everything else about the code (I hope). Now that my official duties around here are limited to the work being done in the Forge, I am able to devote my Foundry time to bringing up the maps using the Map Maker Test Site and checking the coordinates myself. For this particular map I looked at both large and small maps using two and three digit counts, found one mistake, posted the problem, and re-checked the updated code. edit: edbeard wrote: Also, no one has answered my question as to why an XML has to be hosted to use the new tool / centering. Previously, you could use the browse feature. Maybe you still can and I haven't figured out how to do it properly but without knowing the reasoning as to why it's this way now, it seems silly. I don't know why the change was made, but personally I think the new system is far better. When doing the initial checks to see that your code is valid you still upload files from your local machine, and while I admit that it's a bit of drag to upload the code to a file hosting site after every coordinate tweak can be a drag, it does allow Forza_AZ, me, or anyone else interested to check the coordinates themselves without having to download a file to their home computers. I personally find it just as easy to use the Map Maker function as it is to look at four images that have been posted in the thread... and in at least two cases I've found mistakes and problem spots with the map inspect function that I would not have found with just a posted file. that said., I think it is still good form for a mapmaker to post images with the coordinates, especially if the readability is questionable anywhere. It's good to have more sets of eyes involved. In the case of this map the background colors were pretty straightforward, so I checked the centering myself and approved it. cairnswk wrote: Also, no one has answered my question as to why an XML has to be hosted to use the new tool / centering. Previously, you could use the browse feature. Maybe you still can and I haven't figured out how to do it properly but without knowing the reasoning as to why it's this way now, it seems silly. oaktown, i didn't write the quoted piece above. edbeard did. could you change this, thanks. I already know why this change was made. oaktown wrote: ..... It's good to have more sets of eyes involved. In the case of this map the background colors were pretty straightforward, so I checked the centering myself and approved it. Yes but if it is not posted for the community to see, then that doens't allow us to check the centering also. Putting some of these graphic things in the hands of one person for checking isn't what this site was about. Everyone had an opportunity to check it and therefore many pairs of eyes roved over it. Not continuing with this original process is shere laziness on the mapmaker's part, and leaves you very open to making mistakes...what happens if ever you leave the foundry. There is no continuity in a process that worked very well simply because someone decides to change it. No good form, I'm afraid. Would it be that bad to move the Alaskan/NA4 border (which doesn't connect to the coastline, by the way) a bit to the right, or at least rotate it so its less | more |, then move "NA4" a little up and right? You wouldn't need to change the XML this way, as the army circle stays the same. Your IQ would have to be below 75 to not figure out it's an "N" there, but still. Other than that, I don't see anything besides the little clipping of the "N" in the large NA6 (not really a problem).